The territory of the graceful and yellow-spotted honeyeater overlap. 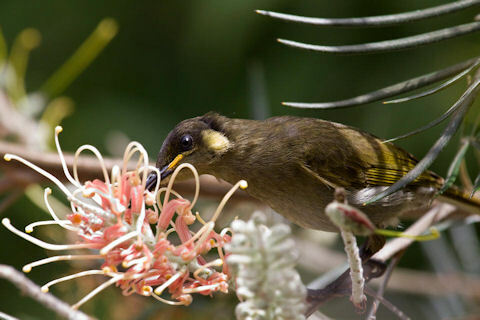 The main identifier points were the call of the bird and greater curve on the bill of the graceful honeyeater. The call of this bird was a sharp abrupt musical "tchip" repeated at intervals of several seconds.